You can pre-purchase your tickets online through Showlink to get the best prices. At the moment you can nab yourself the Early Bird Ticket Rates! You can get adult tickets for $37 (down from $43). A Junior Ticket costs $22 and covers anyone 4 - 15 years of age and school pupils 16 - 18 years of age in possession of a ROA School Pupil ID Card or valid School Transport Pass. A concession ticket is $27. A family pass will set you back $99.50 (or $140 at the gate). Children aged 3 or under are free. This year there are special Twilight Tickets available for entry at 4pm only. Children tickets are just $10 and Adult tickets are $31. It’s a great option as you still have over 5 hours of fun at the show!! When one day at the Show just isn't enough, you can sign up as an RAS member for $154. This means you can come to the show everyday for 12 days. Please note: there is a $2.65 handling fee when purchased online. Make sure you are buying your tickets from the official Easter Show channels - Ticketmaster, Woolworths or Official Tourism Operators. See all ticket prices here. Parking at the Easter Show can be tricky, especially on the busy weekends. You can pre-book online, you can do this up to 11:59pm the night before you visit. The cost is $25 per entry regardless of the length of your stay. Just be prepared for delays in entering and exiting the parking stations, it can get VERY busy. For more info visit here. We highly recommend using Public Transport to get to the Show. There are extra trains and buses running regularly. The ShowLink tickets include the travel to and from the show (remember to keep your ticket for your return journey home!). There are approx. 1800 lockers available for hire at the Show. There are some located outside the Showbag Hall, you could grab one first thing, buy your showbags and pop them in there for safe keeping until it’s home time! There are 26 ATMs placed around the grounds. Most stall holders will accept card payments too. 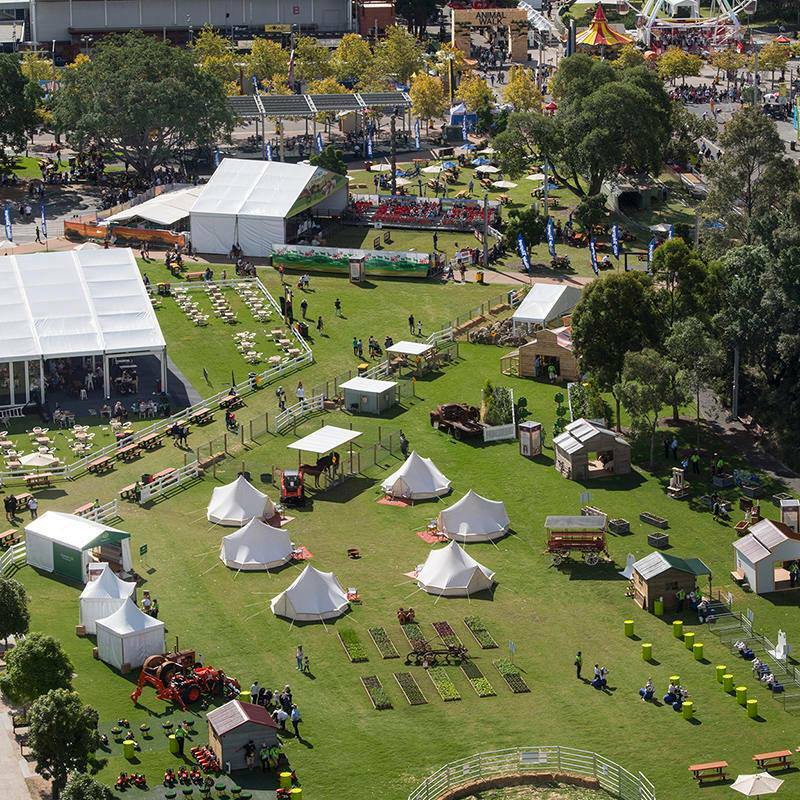 The Sydney Royal Easter Show is on from the 12 - 23 April 2019 at the Sydney Showgrounds in Sydney Olympic Park.